Southern Antipasto, RRR IV, p. 57. 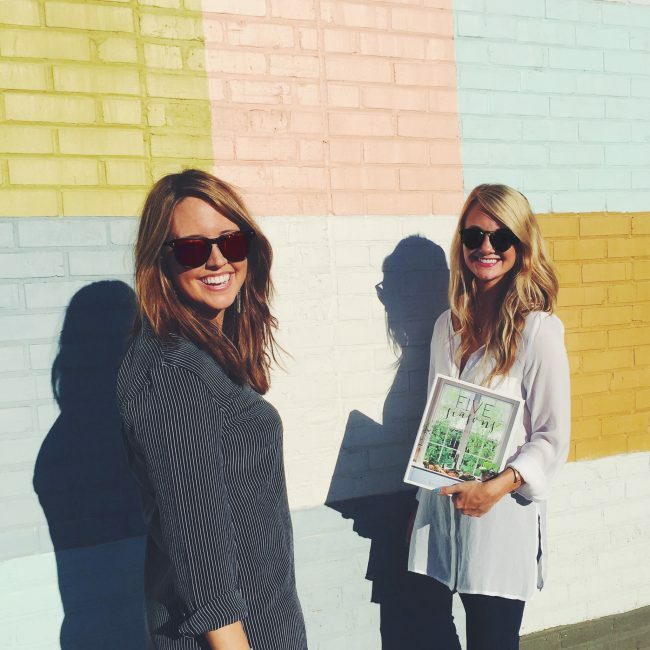 Photo by Meghan Poole. 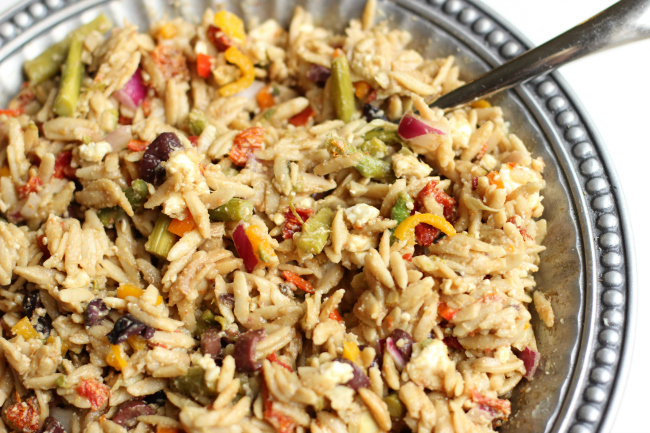 The Southern Antipasto was the easiest item on the menu to make. 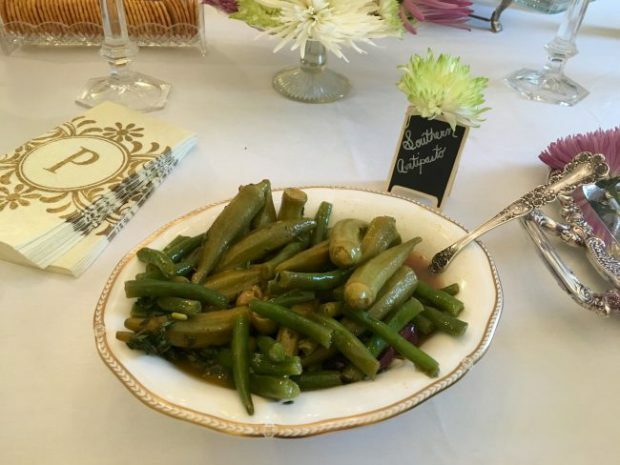 I cut the green beans into two pieces each before blanching. I sliced one type of olives lengthwise and the other crosswise. My garlic press also has a slicer on it, so it was easy to get the garlic to a consistent size. Three tablespoons of thyme takes a while to get, so I used an herb stripper to make the process go faster. I prepared the marinade the day before the party in a plastic container with a lid. I combined the rest of the ingredients in the quart-sized bag as indicated in the recipe. I poured the marinade in the bag about 2 hours before the party, then into a serving bowl when I was ready to serve it without draining the marinade. Combine the okra, green beans, and olives in a 1-quart re-sealable plastic bag. Whisk the lemon juice, olive oil, thyme, garlic, salt, and red pepper in a bowl. Pour the lemon juice mixture over the okra mixture and seal tightly. Turn to coat. Marinate in the refrigerator for up to 1 hour, turning every 15 minutes. Drain before serving. 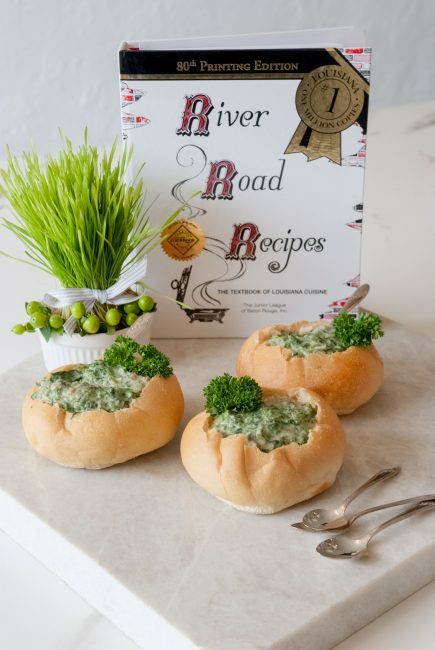 Spinach Madeleine, the recipe that put the first Junior League of Baton River Road Recipes Cookbook on the map! 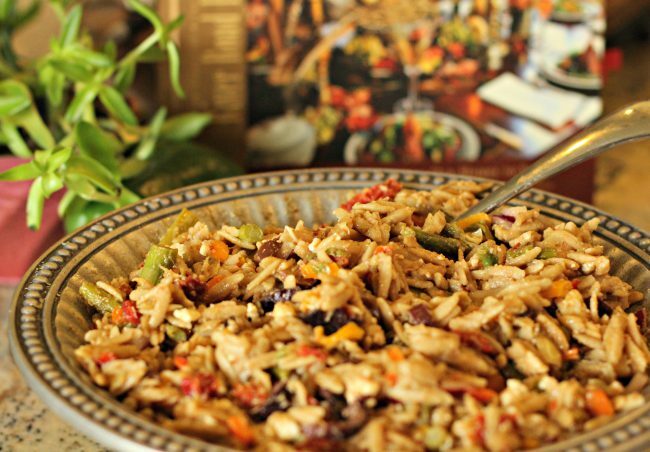 This savory and bubbly warm dish is now a traditional favorite for family gatherings, potlucks and supper clubs all around our great state for over 50 years. The original recipe calls for a roll of 6 ounces of Jalapeno cheese. Kraft Foods no longer makes the product so we have substituted 4 ounces of Velveeta cheese, cubed, and 2 teaspoons of minced jalapenos! Turkey…baked, smoked, or fried? Should there be a ham, too? This is Louisiana after all, so will there be something freshly caught or hunted sitting on the table as well? Preparing Thanksgiving dinner can bring so many decisions, but one thing everyone can agree upon is that it’s simply not Thanksgiving without sweet potatoes. Published in the original 1959 River Road Recipes, Baked Sweet Potatoes with Marshmallows is a dish that stands the test of time and continues to bring generations asking for a second helping. The sweet, autumn-spiced aroma is sure to fill your home welcoming guests to your table. 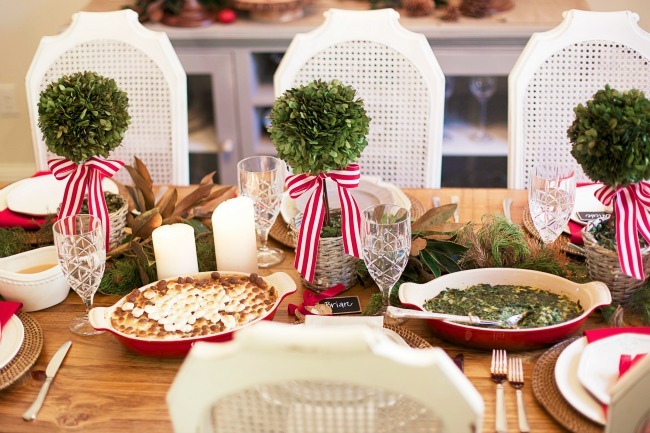 Whether served as the essential side, or as a dessert option, it will be gobbled up by evening’s end! Bake sweet potatoes in a 350-degree oven until done. 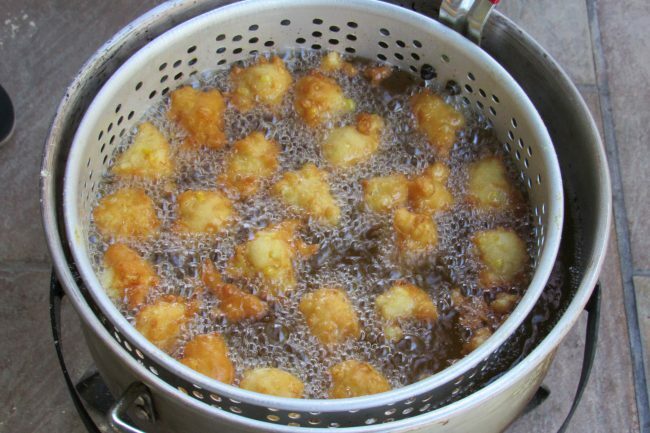 Peel hot potatoes and put through ricer until mashed. Scald milk and add vanilla, sugar, and butter. To potatoes add cinnamon, nutmeg, and orange juice. Stir. Add milk mixture to potatoes, a layer of marshmallows, remaining potatoes and bake at 350 degrees until very hot. Add a top layer of marshmallows and brown. Serves 8 to 10. 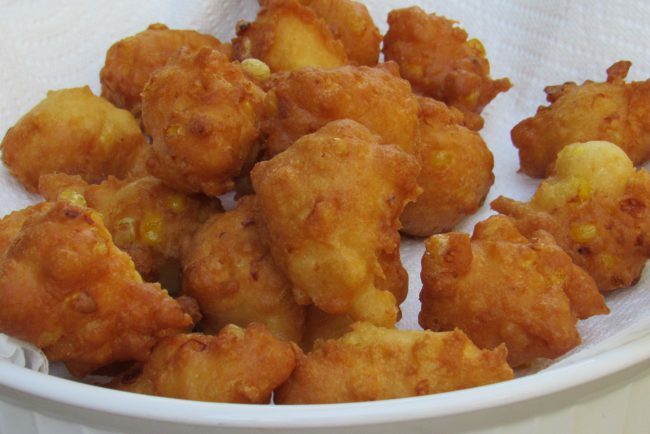 This quick and easy side dish is found in River Road Recipes IV on page 274. 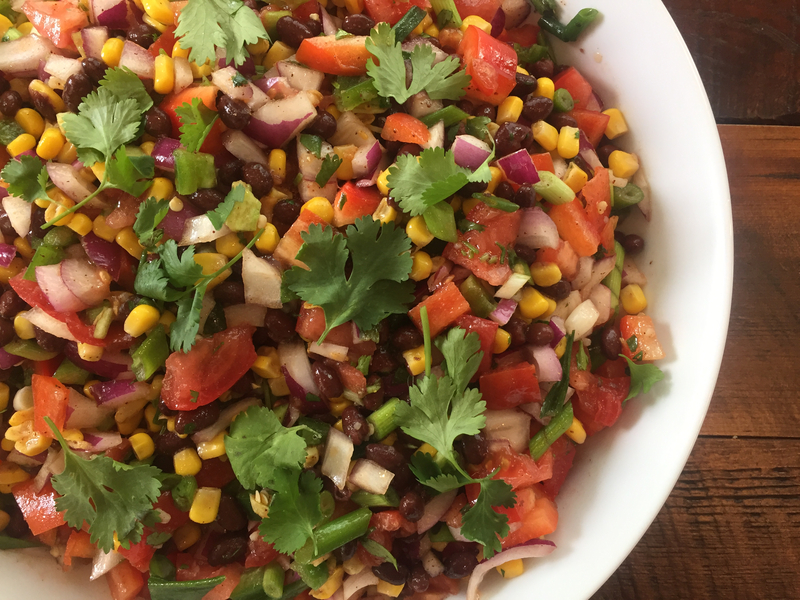 While excellent as a side dish, this black bean salad is also quite tasty when eaten as a “dip” with tortilla chips! Gather kitchen tools and ingredients. Using a chopping knife and a cutting board, chop the green onions. Open the cans of black beans and the shoe peg corn and drain and rinse. 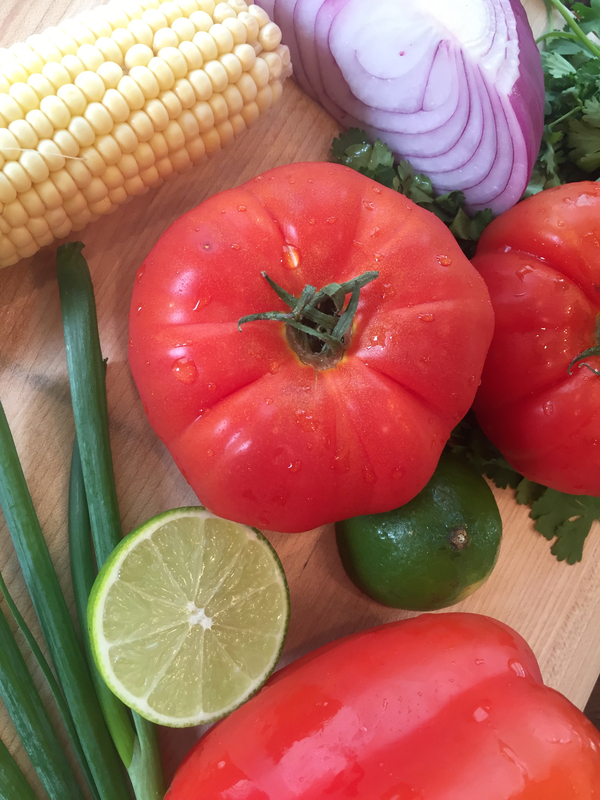 Open the can of tomatoes with green chiles and drain. 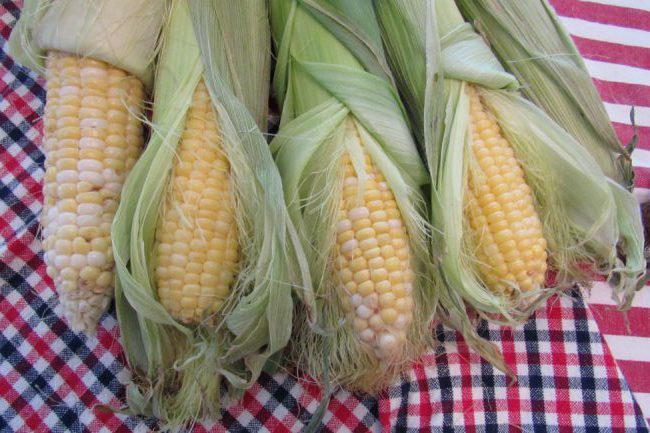 Combine the corn, beans, tomatoes, green onions, vinegar, and olive oil in a salad bowl and mix well. 3. Serve at room temperature or chilled. Independence Day is one of my favorite holidays. 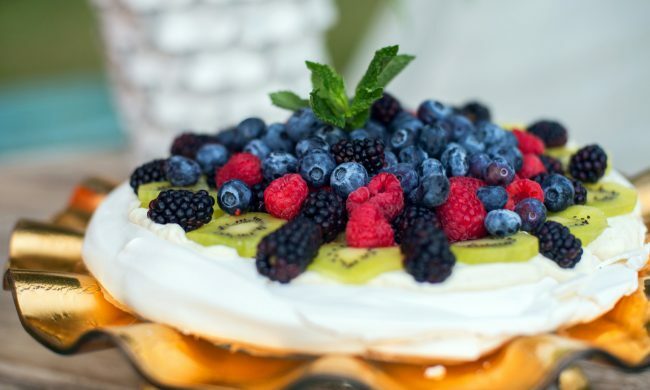 Growing up, we would celebrate the 4th of July with friends and family, cooking out, soaking up the sun, and of course, setting off fireworks. My dad would take my brother and me early in the morning to one of those massive firework dealers that seem to spring up overnight around New Year’s Eve and the Fourth, and we would buy an obscene amount of sparklers, roman candles, bottle rockets, and the like. Everyone would gather around after the day’s festivities to ooh and ahh at our firework displays that night, while our miniature schnauzers cowered inside and howled. Upon moving to Baton Rouge, we discovered the Baton Rouge tradition of watching the Fourth of July fireworks from the banks of the Mississippi River. People arrive downtown early in the morning to claim their spot on the levee and spend the remainder of the day enjoying the nearby festivities, such as the USS KIDD’s July 4th Spectacular or the LSU Museum of Art’s 4th of July Celebration at the Shaw Center, complete with a DJ, cash bar, hotdogs, and jambalaya from Capital City Grill (check out these events and more at Visit Baton Rouge). The fun-filled day culminates with a spectacular fireworks show at 9 pm, sponsored by WBRZ 2 and the USS KIDD. This year, leave the fireworks displays to the pros and come and join us on the levee! You will be part of a Baton Rouge tradition to remember, and, more importantly, our schnauzers will thank you. 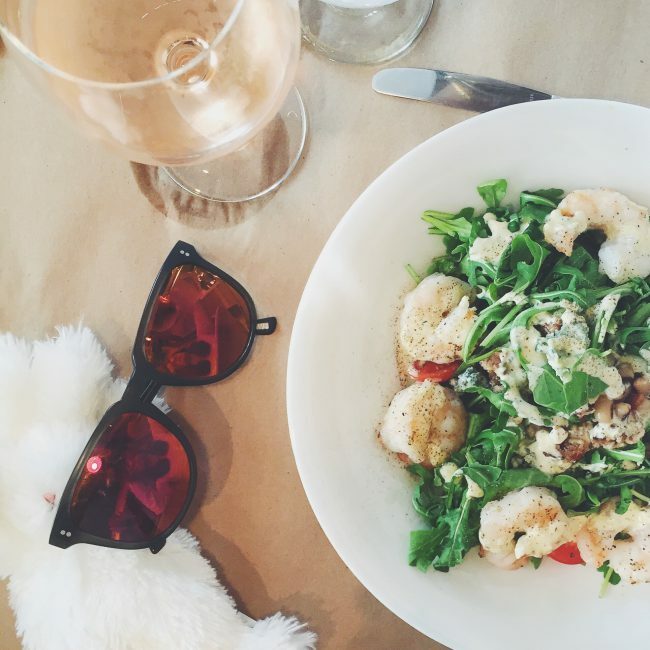 Of course, no Fourth of July celebration would be complete without a fabulous meal. 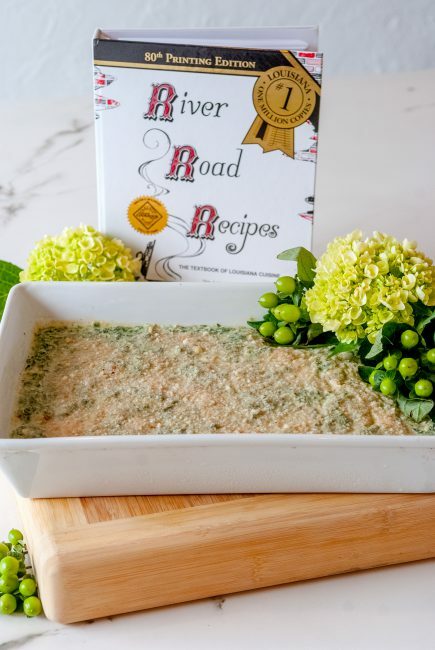 Warm Welcomes – River Road Recipes IV, features an entire suggested menu to enjoy while watching the fireworks on the levee. 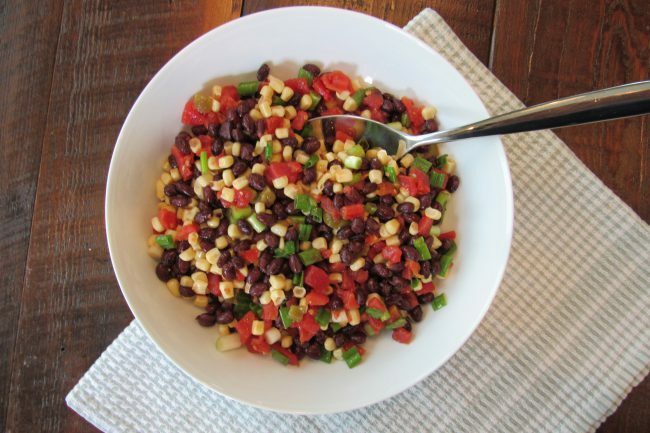 One of my favorites from this menu is the Corn and Black Bean Salad, found on page 229. It is cool, colorful, and flavorful, with just the right amount of kick from the jalapenos and spicy cilantro dressing. 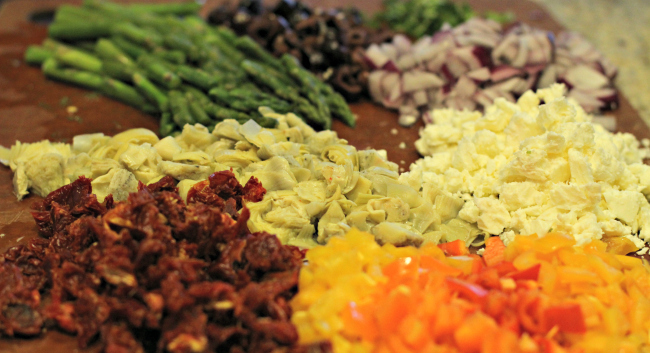 The bright, fresh summer vegetables featured in this salad add the perfect pop of color to your 4th of July menu. Photo by Lauren De Witt. 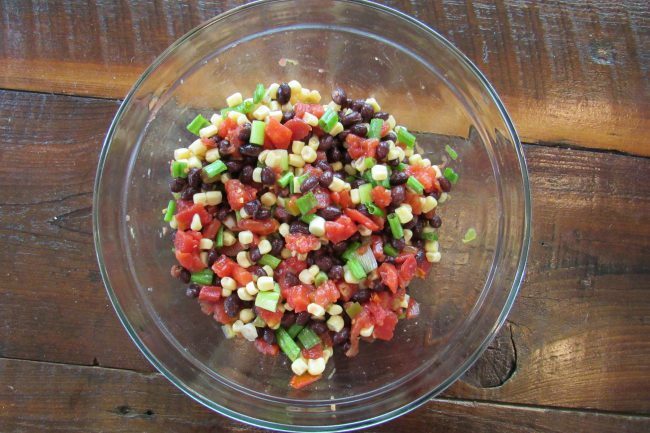 Corn and Black Bean Salad. Photo by Lauren De Witt. For the dressing, combine the corn oil, vinegar, cilantro, lemon juice, hot pepper sauce, and chili powder in a jar with a tight-fitting lid and seal tightly. Shake to mix. 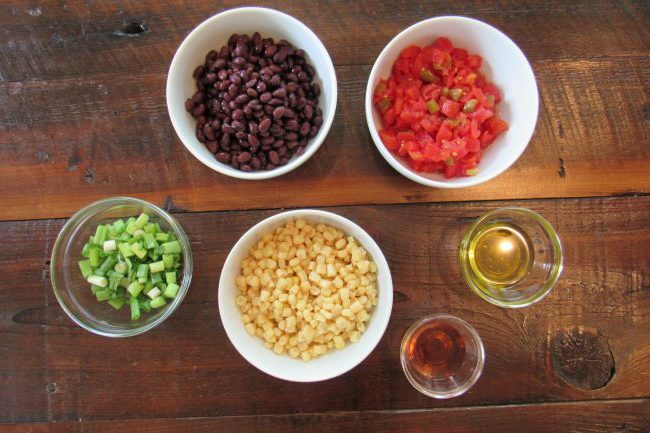 For the salad, combine the beans, corn, tomatoes, bell peppers, green onions, red onion, jalapeno chiles, and garlic in a bowl and mix gently. Add the dressing and toss to coat. Chill, covered, for 6 to 10 hours. Spoon into a salad bowl and garnish with sprigs of cilantro and/or red onion wedges.